Fruits and vegetables are essential to a healthy body. We've created a list of the most nutritious options so you can choose which ones best fit your nutrition plan! Losing fat and gaining muscle often means that the food you eat is based upon what macronutrient ratio is best for your goal. Because we're so focused on how much carbs, fat, and protein we're getting in each meal, we often forget that micronutrients are also an essential part of a healthy body and a great physique. 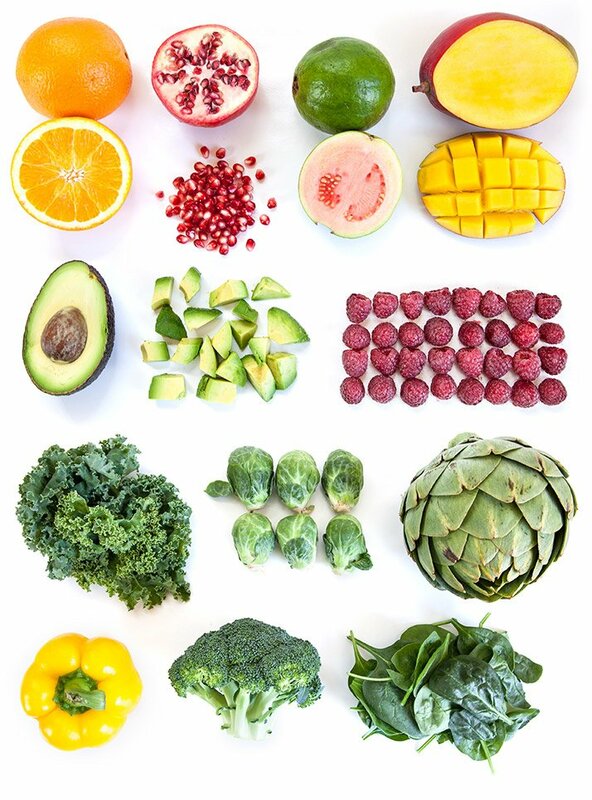 Micronutrients are essential vitamins and minerals that your body doesn't make; they need to come from your diet. Although your body doesn't need much of them, they are necessary for your body's systems to function optimally. It's very possible to become deficient in certain micronutrients, which can cause all kinds of health issues. For example, too little potassium can cause muscle cramping, weakness, and even heart arrhythmias. It's true that taking a multivitamin can help you get those vitamins and minerals your body needs to operate at its best, but your body actually absorbs micronutrients much better from food than from a pill. So, it's important to fill your plate with nutrient-dense fruits and veggies instead of hoping your multivitamin will take care of any holes in your nutrition. Mango can be slightly harder to find and even more challenging to eat than some fruits, but it's a great addition to your nutrition plan. 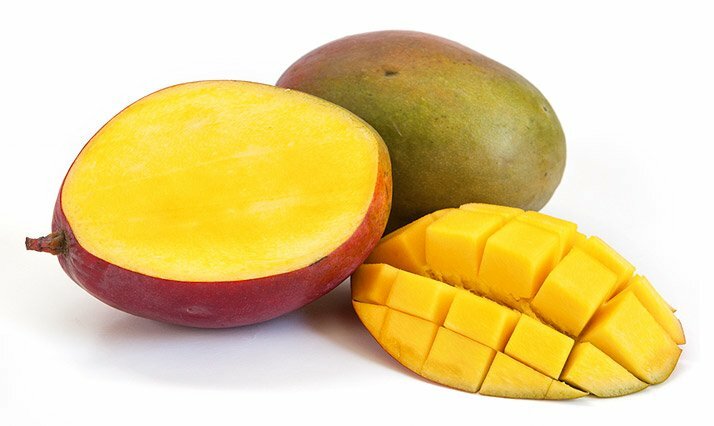 One mango provides 5 grams of fiber, as well as potassium, phosphorus, magnesium, calcium, and huge doses of vitamins A and C.
It's slightly more caloric than most fruits, so be aware of how much you're eating. 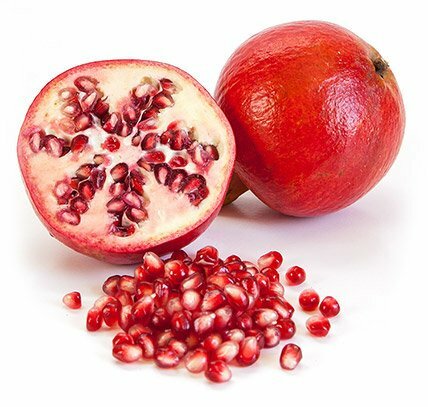 Pomegranates are a little bit difficult to eat, but they're well worth the effort. The taste and nutritional benefits outweigh a little effort on your part! Guava might sound like a fruit you should only enjoy while you're lounging on a beach, but it's actually a great addition to your everyday diet. 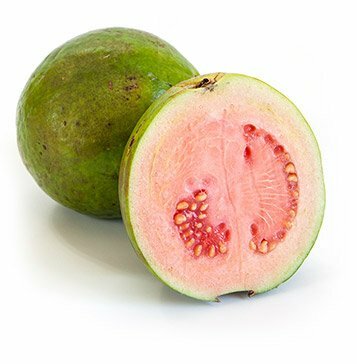 Guava is high in fiber, niacin, and vitamins A, B-3, B-6, C, and K. Guava is also rich in lycopene, a powerful antioxidant. Blueberries get tons of love in fitness, and deservedly so, but raspberries are a great year-round option. They're delicious, for one, but they are also high in vitamins C and K, and have a healthy amount of folate. 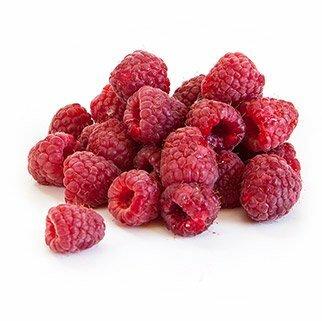 One cup of raspberries also provides 8 grams of dietary fiber. Oranges are pretty easy to get your hands on year round. They may be common, but their ubiquity doesn't make them any less healthy. Oranges are excellent sources of vitamins A and C, beta-carotene, and minerals such as potassium and calcium. They're also high in soluble and insoluble fiber. 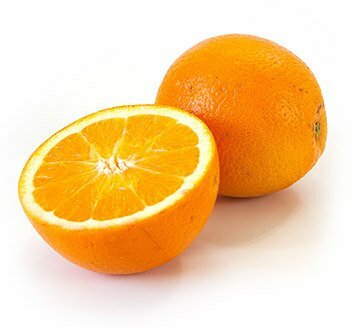 One of the best things about oranges is that they keep well for a long time. Get some the next time you're at the store and enjoy! Although we usually think of avocado as a fat source, it's actually a fruit, and a really healthy fruit at that! One cup of sliced avocado contains 10 grams of dietary fiber, 42 percent of your daily value of vitamin B-5, and 35 percent of your daily value of vitamin K. Avocado also provides big doses of vitamin C and potassium. 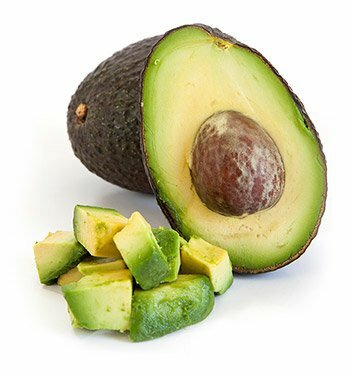 If you're not already eating avocado regularly for healthy fat, now is the time to start! It's one of those foods everyone should enjoy. They're great in a shake as well as atop a salad. Kale might be trendy, but it's trendy because it's so damn healthy. It's rich in vitamins A and C. It also has tons of vitamin K, a fat-soluble vitamin that allows proteins to bond to calcium ions. 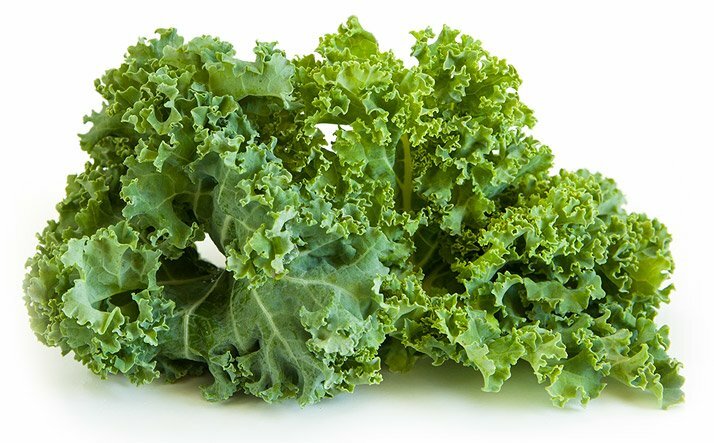 Kale is also a great source of manganese, copper, fiber, calcium, potassium, and vitamin B-6, and even contains some omega-3 fatty acid. Love 'em or hate 'em, Brussels sprouts have found a home in the fitness community. This cruciferous vegetable is rich in sulfur-containing nutrients that enhance our body's detox systems, and offers plenty of fiber to aid digestion. 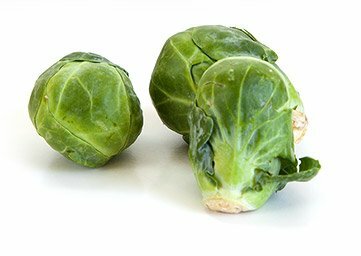 Brussels sprouts are also rich in vitamins K, C, and B-6, and minerals like manganese, folate, and copper. Brussels sprouts also contain omega-3 fatty acids. Ah, broccoli—of course we had to include this popular veggie on our list. Broccoli is a bodybuilding staple because it is one of the most nutritious vegetables on the planet. 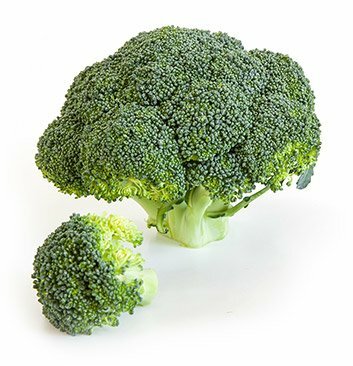 In just one cup of chopped broccoli, you'll get more vitamin K and C than you need in a day and lots of other awesome minerals like potassium, calcium, and selenium. Broccoli is also full of anti-inflammatory and antioxidant benefits. Broccoli is low in calories, which makes it a good addition to your diet if you're trying to cut fat, lower your carbohydrate intake, or both. Even if it's not on your favorite vegetable list, we think it's a great idea to find some way to cook broccoli so you like it. It's just a great, healthy vegetable that belongs in your nutrition program, no matter your fitness goal. 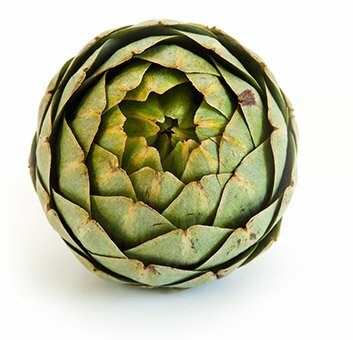 Because artichokes are a little weird, people forget they're a legitimate vegetable, not just a pizza topping! Artichoke is high in dietary fiber, folic acid, and vitamin C. It's also one of the best vegetable sources of vitamin K. Aside from vitamins, artichoke is also rich in minerals like copper, calcium, potassium, and iron. Bell peppers of all colors are an amazing addition to your diet. They have a huge amount of vitamin C, and are also great sources of vitamin B-6, vitamin A, folate, and fiber. 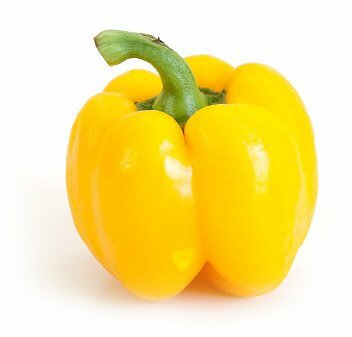 Although bell peppers are very low in fat, the little they do have ensures that you'll get some fat-soluble nutrients like vitamins A and E.
Popeye was no dummy. 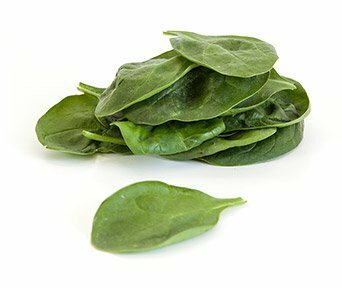 Spinach belongs in your muscle-building nutrition plan. You can eat it raw, or, you can increase the fiber content by boiling it. Spinach's dark color means it's full of phytochemicals that have anti-inflammatory properties. Spinach is also a great source of vitamins A, K, and E as well as calcium.